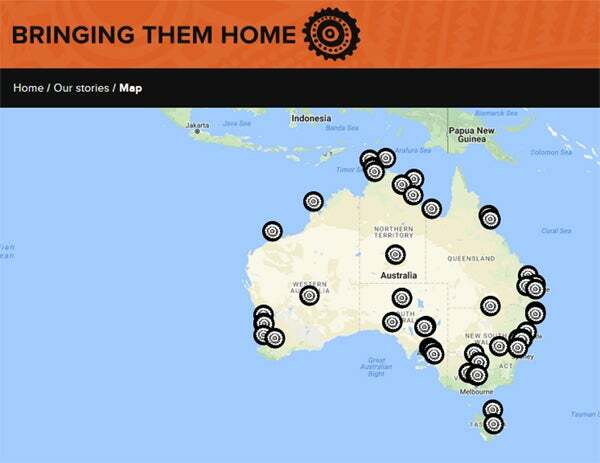 Bringing them Home was the name given to the final report of the National Inquiry into the Separation of Aboriginal and Torres Strait Islander Children from Their Families conducted by the Human Rights and Equal Opportunity Commission (now called the Australian Human Rights Commission). The National Inquiry into the Separation of Aboriginal and Torres Strait Islander Children from Their Families was established by the Attorney General in 1995. Over two years, the National Inquiry took oral and written testimony from over five hundred Aboriginal and Torres Strait Islander people across Australia, as well as from Indigenous organisations, foster parents, State and Territory Government representatives, church representatives, other non-government agencies, former mission and government employees and individual members of the community. The 689 page final report, tabled in Parliament on 27 May 1997, includes many of these personal testimonies as well as 54 recommendations to support healing and reconciliation for the Stolen Generations, their families and the Australian public more broadly. In 2017 we have created an interactive educational website to mark the 20th anniversary, which features a map, lesson plans and all of the stories from the report.